Gross, D., Breitenstein, S., Eisbach, S., Hoppe, E., & Harrison, J. (2014). Promoting Mental Health in Early Childhood Programs: Serving Low-income Ethnic Minority Families. In M. Weist, N. Lever, C. Bradshaw, & J. Owens (Eds. ), Handbook of School Mental Health, 2nd ed, pp. 109-130). New York: Springer US. This book chapter summarizes the effectiveness of the Chicago Parent Program for prevention as well as early intervention for families of color from low-income communities. The authors also discuss barriers to parent participation in parenting programs and five important lessons learned in keeping families engaged. Breitenstein, S. & Gross, D. (2013). Web-Based Delivery of a Preventive Parent-Training Intervention: A Feasibility Study. Journal of Child and Adolescent Psychiatric Nursing, Vol 26, pp. 149-157. This article describes preliminary evidence supporting the feasibility of delivering the Chicago Parent Program via the internet using Android tablets. Breitenstein, S.M., Gross, D., Fogg, L., Ridge, A., Garvey, C., Julion, W., & Tucker, S. (2012). The Chicago Parent Program: Comparing 1-year outcomes for African American and Latino parents of young children. Research in Nursing & Health, Vol 35, p. 475-489. This article describes the one-year outcomes of the Chicago Parent program for over 500 African-American and Latino families and their preschool children (2-5 years old). Compared to families in the control group, those in the Chicago Parent Program group had significantly better parenting and child outcomes as assessed by parents, teachers, and independent observers. Most importantly, improvements from the Chicago Parent Program were found for both African-American and Latino parents and children. Gross, D., Breitenstein, S., Julion, W., Garvey, C., Ridge, A., & Fogg, L. (2012). Chicago Parent Program replication report. National Registry of Evidence-based Programs and Practices. Substance Abuse and Mental Health Services Administration. This report, provided to the US Department of Health and Human Services Substance Abuse and Mental Health Services Administration, was used to support high ratings given the Chicago Parent Program by the National Registry of Evidence-based Programs and Practices. The report describes a replication study supporting the efficacy of the Chicago Parent Program. Gross, D., Johnson, T., Ridge, A., Garvey, C., Julion, W., Treysman, A.B., Breitenstein, S., & Fogg, L. (2011). Cost-effectiveness of childcare discounts on parent participation in preventive parent training in low-income communities. Journal of Primary Prevention, Vol., 32, 283-298. This study tested the cost-effectiveness of using childcare discounts to motivate parent participation in the Chicago Parent Program in childcare centers serving low-income families. As part of the cost analysis, this paper reports the parent, group, and total costs for the Chicago Parent Program. We also assessed parents’ motivations for enrolling in the Chicago Parent Program. The most important reasons parents enrolled in the program all focused on wanting to be a better parent. Breitenstein, S., Fogg, L., Garvey, C., Hill, C., Resnick, B., & Gross, D. (2010). Measuring implementation fidelity in a community-based parenting intervention. Nursing Research, Vol. 59, 158-165. This study evaluated the quality of the Chicago Parent Program Fidelity Checklist, the measure used to assess implementation fidelity. Results supported the feasibility, reliability, and validity of the Fidelity Checklist. Based on these results, we now use the Chicago Parent Program Fidelity Checklist to assess group leader fidelity to the program and to certify Chicago Parent Program group leaders. Gross, D., Garvey, D., Julion, W., Fogg, L., Tucker, S., & Mokros, H. (2009). Efficacy of the Chicago Parent Program with low-income African American and Latino parents of young children. Prevention Science, Vol., 10, p. 54-65. This randomized control trial tested the efficacy of the Chicago Parent program in childcare centers serving families of young children in Chicago (59% African American, 33% Latino). At one-year follow-up, there were significant improvements in parents and children randomized to receive the Chicago Parent Program. A particularly important finding in this study was that parents who attended at least 6 of the 12 Chicago Parent Program sessions saw the largest improvements on parenting confidence, discipline, and child behavior. Gross, D., Garvey, C., Julion, W., & Fogg, L. (2007). 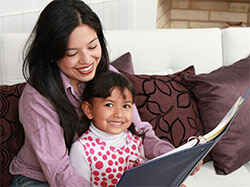 Preventive parent training with low-income, ethnic minority families of preschoolers. In J.M. Briesmeister & C.E. Schaefer (Eds). Handbook of parent training: Helping parents prevent and solve problem behaviors (3rd ed. ), p. 5-24. New York: Johns Wiley & Sons. This book chapter describes the development of the Chicago Parent Program and how the guidance of a parent advisory board helped the developers create a strong and meaningful program that would truly help parents. Breitenstein, S.M., Gross, D., Ordaz, I., Julion, W., Garvey, C., & Ridge, A. (2007). 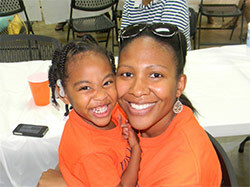 Promoting mental health in early childhood programs serving families from low-income neighborhoods. Journal of the American Psychiatric Nurses Association, Vol. 13, 313-320. This article describes the importance of supporting young children’s mental health using evidence-based programs and how the Chicago Parent Program was used to help one immigrant family struggling with their 3-year-old’s challenging behavior.